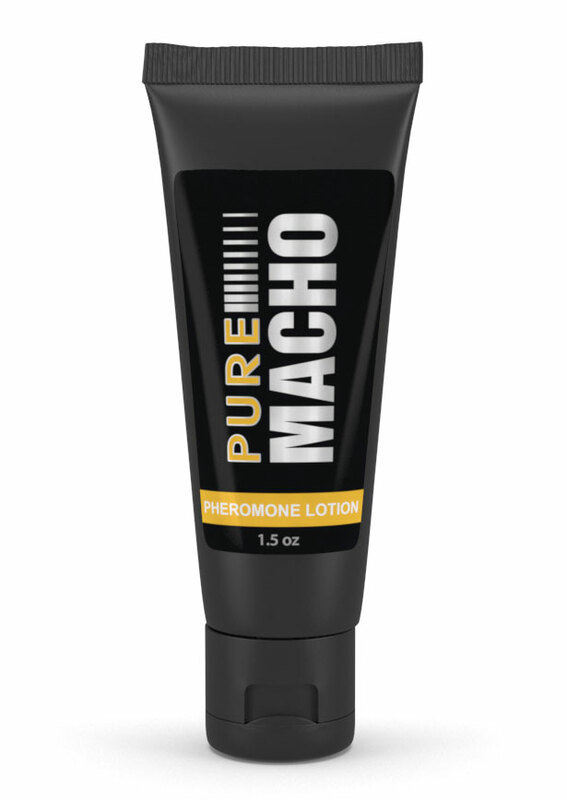 This non-greasy extended-release pheromone lotion is intended to attract women by helping you radiate pure alpha dominance. It helps create gut level attraction, by emitting the pheromone signature of an aggressive, sexually active young man who gets what he wants. It may make women feel butterflies in their stomach any time they talk to you. Pure Macho gets its best results with women who are naturally attracted to aggressive "bad boy" types, and looking for fun. PheroGram™ is a visual signature similar to a chromatogram. It shows the types of pheromones and approximate ratios, without revealing the exact compounds to our competitors. Formula breakdown: Robust alpha molecules are dominant in this formula, which is underlined by molecules with strong sexual tones. Beta molecules are included for smoothness. A trace amount of copulins is also present, to represent a recent sexual experience. It works best with sexually confident women, or women who are attracted to "bad boys"